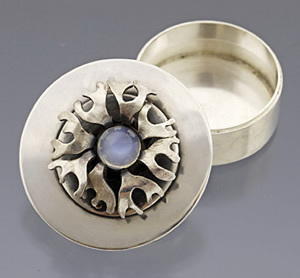 Dimensions: 1 1/4" diameter; moonstone 1/4"
Description: This unique round box can act as a small functional container or be enjoyed as a work of art. 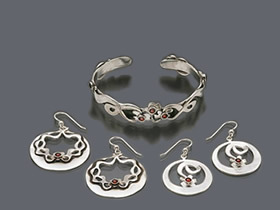 It is fabricated from sterling silver and has dark patina accents. 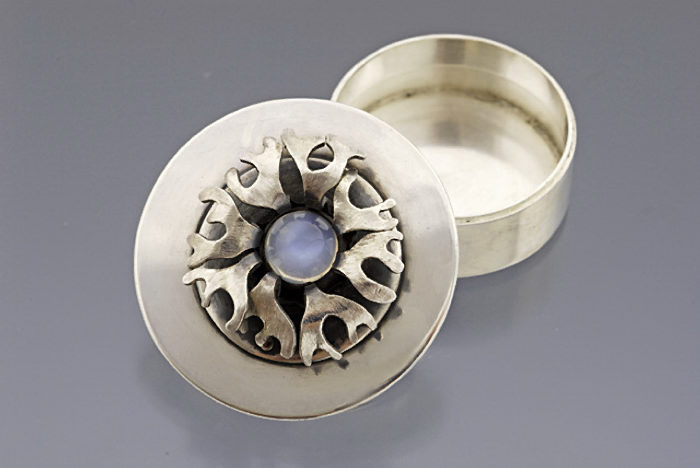 Organic shapes surround a stunning blue-tinted moonstone. Very special.